How has the President's Challenge made a difference in your life, school or community? Welcome to the President's Challenge Monthly Newsletter: the spot for up-to-date information on the President's Challenge, physical fitness, nutrition, current events, and inspirational stories. Click on a title that interests you and get reading, get active, and get healthy! Already doing FitnessGram? 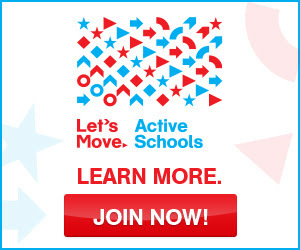 It's Easy to Adopt the Presidential Youth Fitness Program! Ride Your Winter Blues Away! Advocate of the month: Play Like A Girl! Share Your Inspirational Story with Us! We hope you enjoyed this month's issue of Fitness is Fun. As we begin to create our next issue, we would like to hear from you! We welcome questions or comments regarding current content and are open to suggestions for future topics we should address.